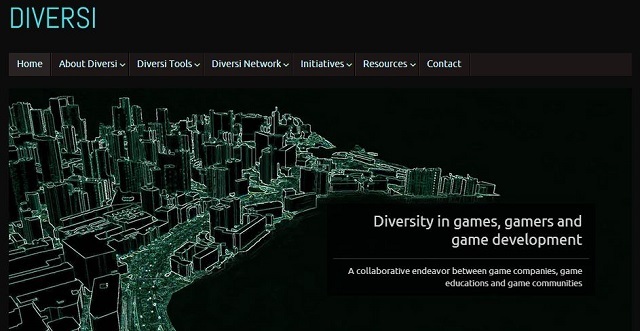 Diversi, a long term project designed to enable game companies, game educations and game communities to encourage and support each other’s diversity efforts launches today with the reveal of a website. Full disclaimer: It includes a cross section of engaged folks from across the industry including yours truly so any instances of me waxing lyrical about the merits of the initiative will be completely biased.. Originally, conceived by the Swedish Games Industry and research company Praxikon in 2013, Diversi was formed to speed up collaboration and the adoption of diversity projects and efforts across the industry with several well established game related institutions and studios already backing the project. The launch will also marks the start of a design logo contest with a the winner to be announced at the first official Meet up on October 15. For a detailed presentation of Diversi, it’s objectives and the people involved, head to the Diversi website. Diversi can also be found on Facebook and Twitter.